Ferryland is located on the east coast of Newfoundland's Avalon Peninsula and is probably as close to Europe as any place in the New World. Today it is a fishing community of about 750 people, but beginning in the early 1500s it was visited seasonally at least by Beothuk Indians and fishermen from Portugal, Spain, France, the Basque Country, Normandy, Brittany and West Country England. Except for the writings of Henry Crout, who recorded John Guy's early 17th-century encounter with the Beothuk on the western Avalon and in Trinity Bay, historical sources are silent about Native people on the Avalon Peninsula; they are especially so for the eastern Avalon. The same is true for archaeology, for prior to 1995 no evidence of Beothuk occupation was known east of Blaketown, on the east coast of Trinity Bay. ©2002, Newfoundland and Labrador Heritage Web Site Project. In 1621 the first permanent settlement was established by George Calvert, later the first Lord Baltimore. Avalon, as he chose to call it, was Baltimore's first New World venture and the beginning of religious toleration in British North America. He named the colony after the legendary Avalon where Christianity was said to have been introduced into England. 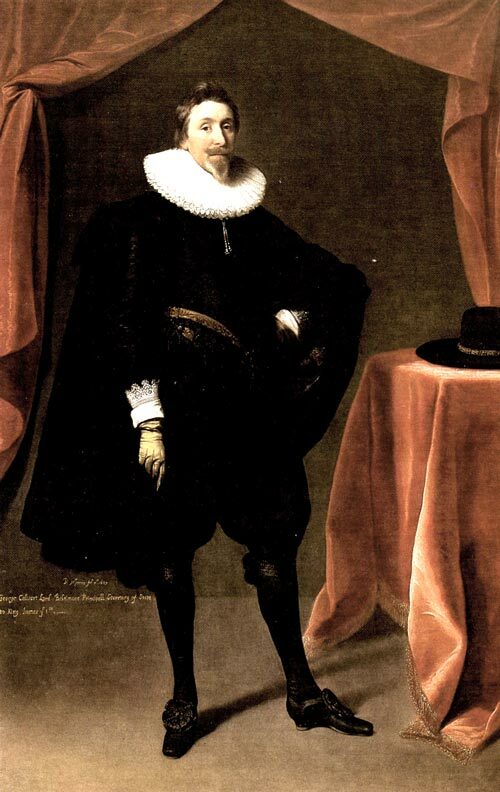 In 1637 Charles I granted the entire Island of Newfoundland to a syndicate headed by Sir David Kirke. Kirke dispossessed Baltimore's representative from the "mansion house" and established his own residence there. Kirke died in jail in England in 1654 but his wife, Lady Sara Kirke, continued to manage the most successful fishing business on the English Shore. 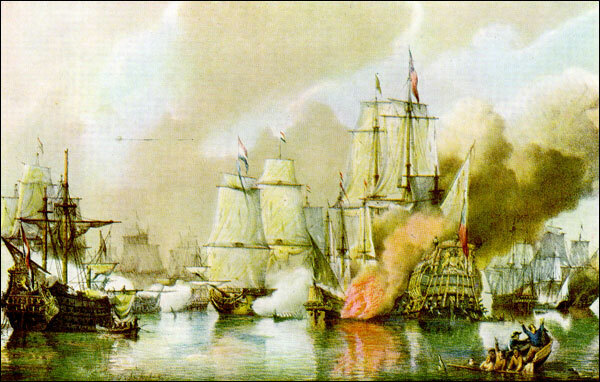 She survived a raid by Dutch forces in 1673, but died before Ferryland was burned by the French in 1696. Since 1992 archaeologists have been slowly revealing Calvert's Avalon, David Kirke's Pool Plantation, and traces of the native people and migratory fishermen who came before them. One of the leading archaelogists at the site from 1992 to 2010, Dr. James Tuck of Memorial University, created the following text-based tour to guide the visitor throught the many fastenating areas of the Colony of Avalon. 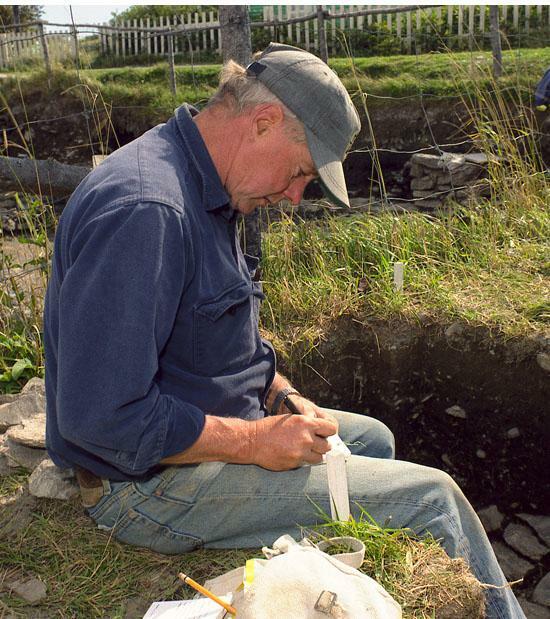 Jim Tuck was the chief archaeologist at the Colony of Avalon site from 1992 to 2010. Reproduced by permission of Photographic Services, Memorial University of Newfoundland, St. John's, NL, © 1995. 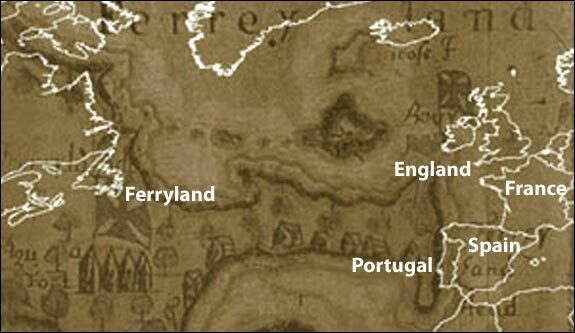 The text and images that follow in the links at the top of the page illustrate some of the events that took place during the first two centuries of European exploitation and settlement not only at Ferryland but of the northwest Atlantic coast. Although written in 2002 this guide is is still acurate. However, much more of the site has since been excavated. To learn more visit the Colony of Avalon Foundation website. In addition, their site offers an Audio Visual Version of this text and image-based tour.